The above picture is of the interiors of a cottage-type home. 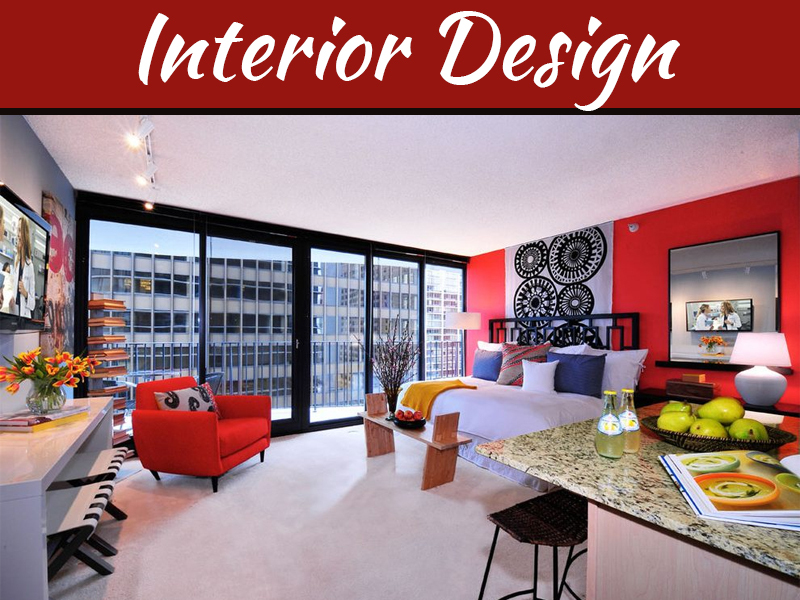 The designer has decorated it by over-throwing the conventional, sophisticated and uniform ways or types of interior designing. 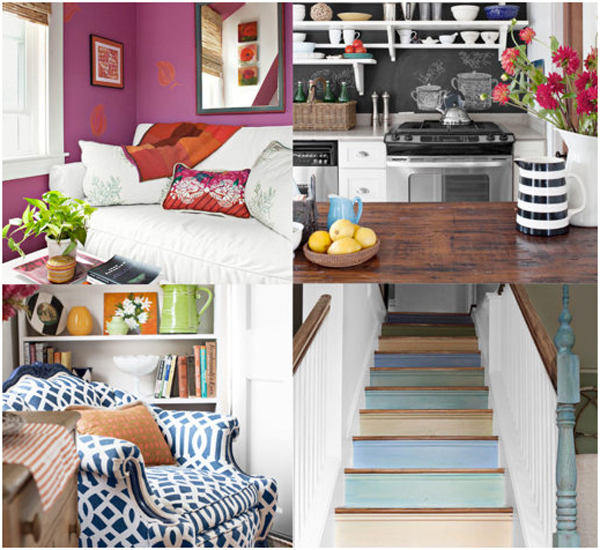 With a medley of colors and patterns the house looks lively and happy. 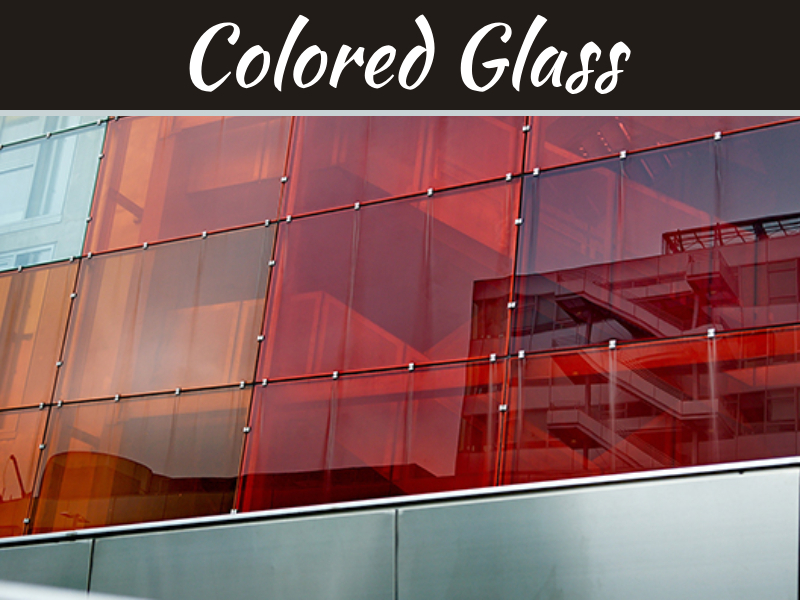 Every nook and corner is given colors different from the other. Such homes don’t let you really get bored. Just in case you do, simply stare at a wall and think about the depth of the colors used. Every color adds life. 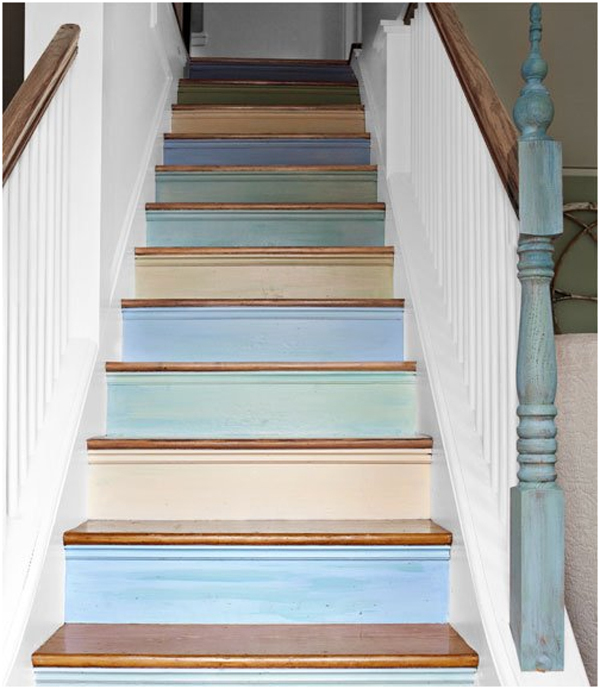 The staircase has been constructed in a simple manner though, the different colors used without any particular pattern keeps one wondering about its logic, this not only adds on to the vague look but also takes care of its uniqueness. Whereas the wooden surface keeps it comfortable and furthermore good looking. This area of the house ensures the class of the house. 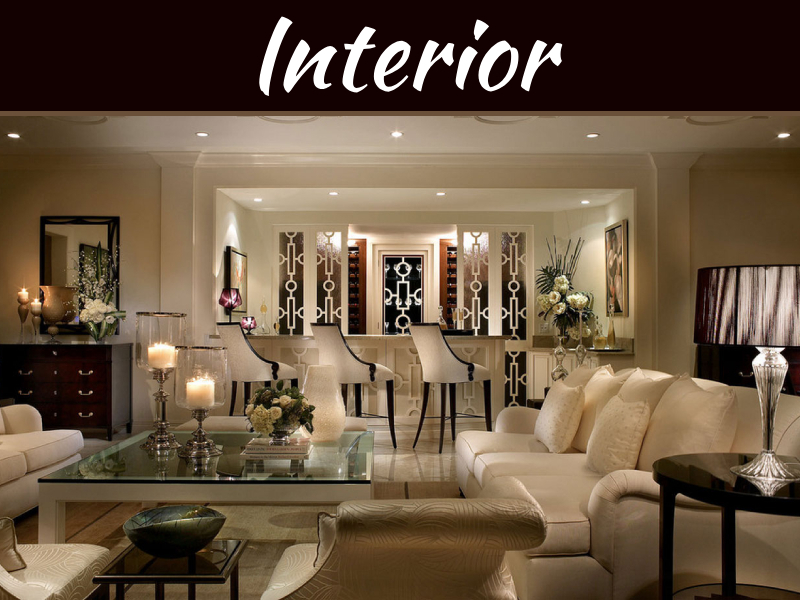 The light colors of the walls and furniture also depict the cool nature of the owner. 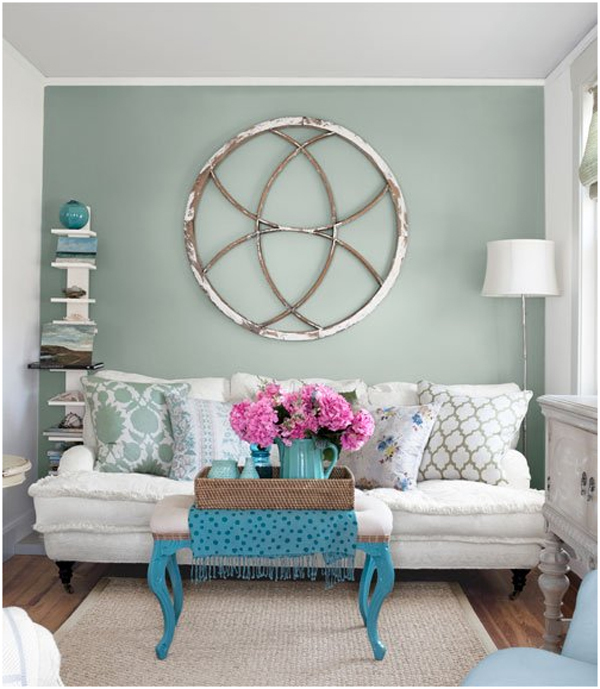 The item that is hanging over the sofa is a window pane of an old barn. The cool colors of the living room make it look wider than it actually is. The tea table again adds to the uniqueness of the house. 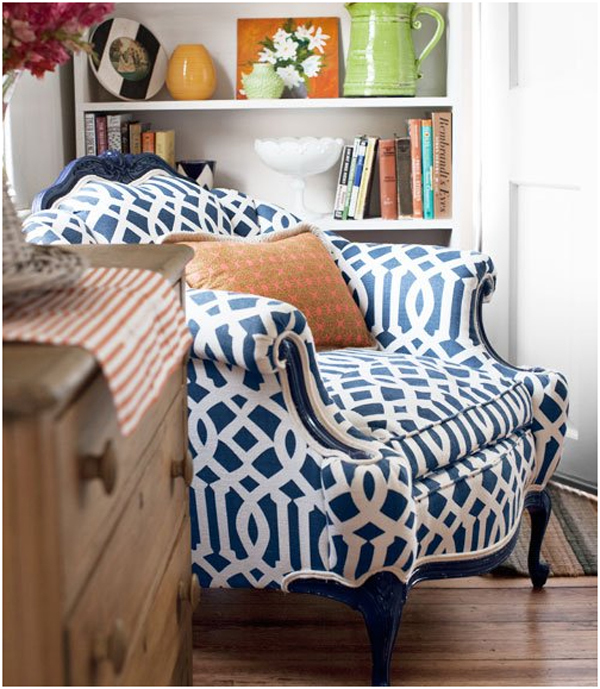 This nook of the house looks beautifully cozy because of the shades and patterns of the sofa. One would love to hide away with books all day here. It not only provides an environment to think, write, to create but also freshens one up to face almost anything. The designer has very smartly utilized the space of the kitchen to its fullest. The shelves have not only helped in accommodating the stuffs but also have increased the beauty of the kitchen. The cutleries are useful and beautiful. 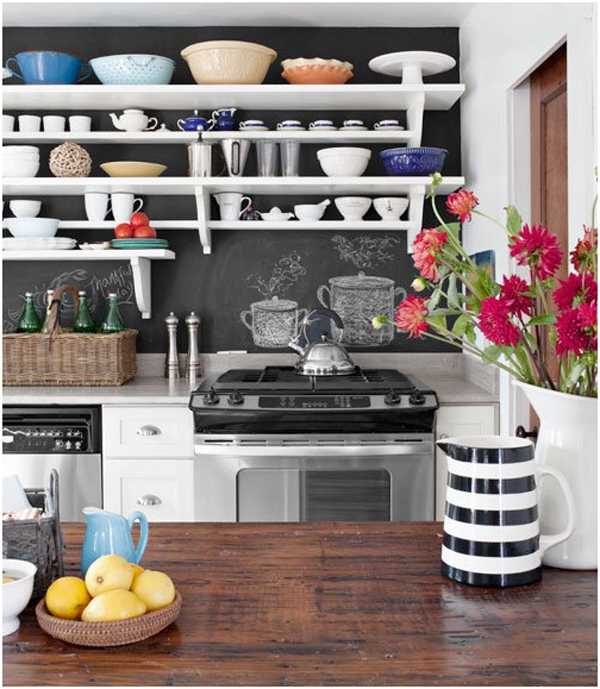 This enhances the class and richness of the kitchen. This corner of the house is not only decorated but also used. These hats that look more like show pieces are actually used by the designer. The coral pebble color of the wall ensures the cottage look of the house. 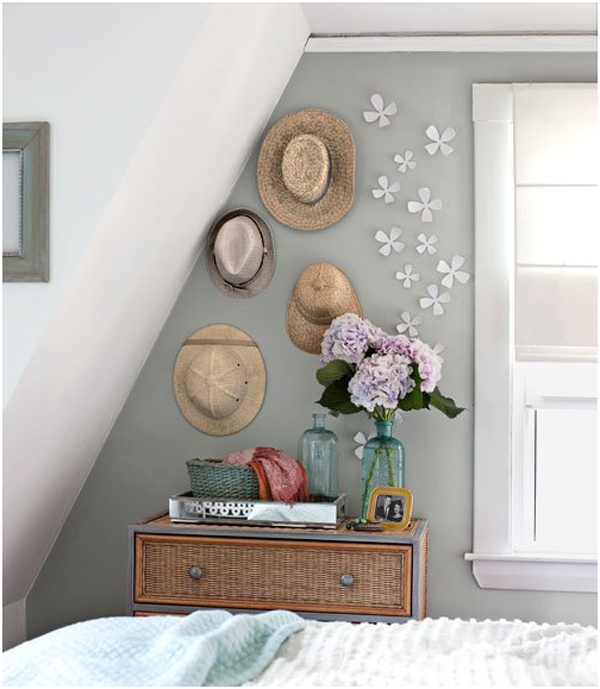 The closet is given jute design to match the hats hung on the wall. 0The hot and dark pink color of the room makes it look loud enough. 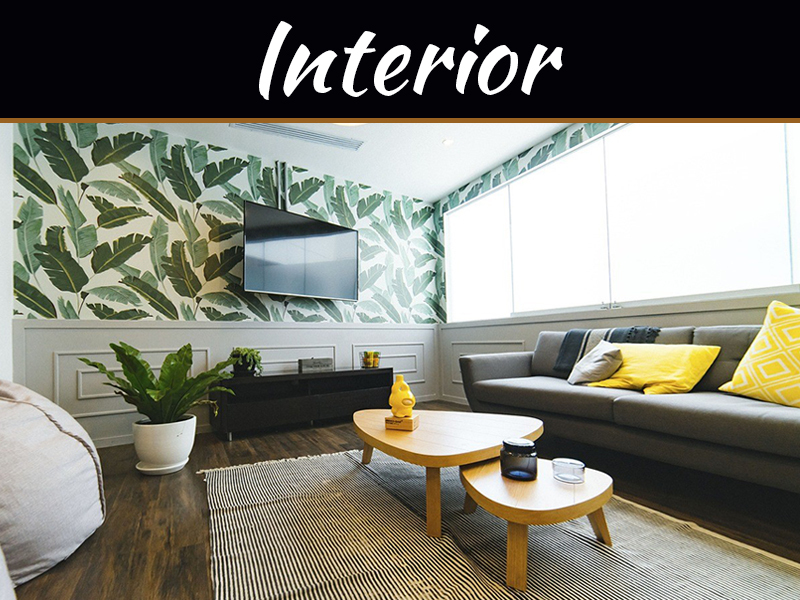 However, the white sofa compliments it thus giving the home-office room a classy yet vague look. The foliage printed pillows also assure the same.